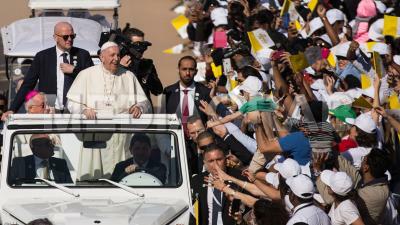 His Holiness greeted the crowds on his arrival to ensure that he could personally greet the excited and jubilant crowds as he made his way into Zayed Stadium itself to conduct the Mass. The Mass marked the highest-profile event of the joint visit to the UAE of Pope Francis and His Eminence the Grand Imam of al-Azhar, Dr. Ahmed at-Tayyeb. This visit is a highly significant occasion for the UAE, with 2019, being declared The Year of Tolerance, strengthening the nation’s role of encouraging stability and prosperity in the region. The current Year of Tolerance follows the Year of Zayed in 2018 and the Year of Giving in 2017. 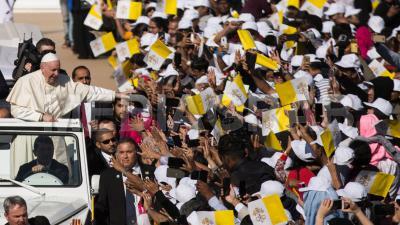 Pope Francis delivers Papal Mass to 135,000 Catholics in the United Arab Emirates.